Earl Lavery keeps a keen eye on his Jesuits in this file photo. When he retired, the Fairfield Prep football coach had the most wins in Connecticut history. FAIRFIELD — The plaques that stand in the corner of the Fairfield Prep practice field have a brief description of the Jesuits greats that worked to make the Prep football program the elite program it is today. Earl Lavery’s plaque has just three words to describe his contributions. 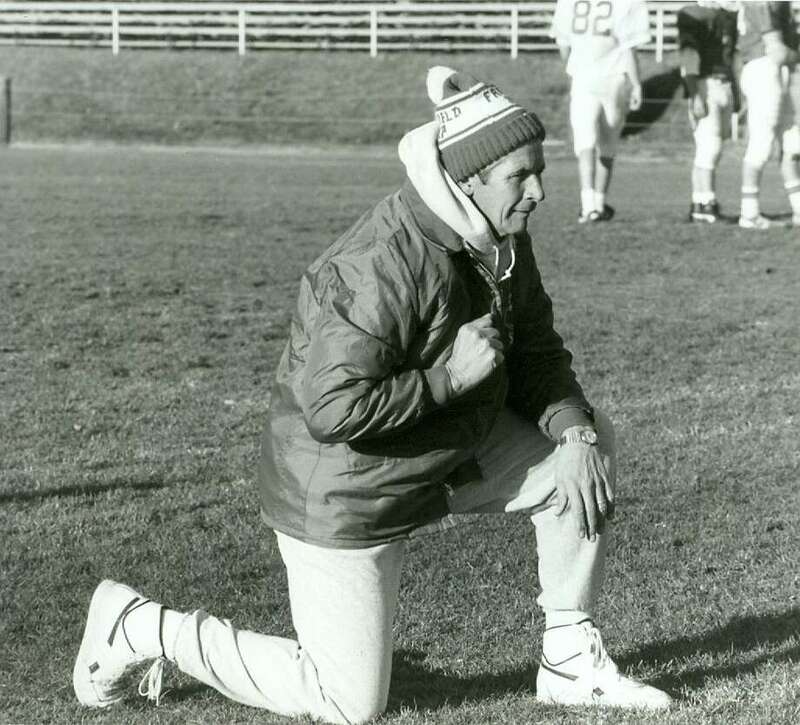 Lavery — the head coach at Fairfield Prep for 27 seasons, from 1965 to 1992 — died on Monday at 86 the team announced. Overall, Lavery won 230 games, lost just 53 and tied 8. He won three CIAC championships — 1977, 1982 and 1988 — and was state runner-up in 1976. And Prep won three CIAC titles, winning the Class L crown in 1997, winning the 1982 L-I title and the 1988 Class LL championship. Prep also as the Class L runner-up in 1976. At the end of practice Monday, Shea addressed the squad to tell them about Lavery, a dear member of the Prep football family. Over his 27 seasons as head coach, Lavery molded hundreds and hundreds of players’ lives, making sure they stayed on the straight and narrow path.